First let me make a short distinguish definition between Astrology and Astronomy. Astrology from the Greek word âstarâ and lÃ³gou`, “study ofâ. Astronomy from the Greek words astron âstarâ and nomos âlawâ, Astronomy is studding the movement, structure, and stars creation and formation. Astrology is an ancient science, older than all the monoteistic religens, the roots of astrology are based in the dawn of civilization history, in the ancient world of Mesopotamia, Iâm referring to the Akkadian Empire (2800 B.C), the Sumerian 4th millennium BC, and the Babyloniaian (2300 B.C.). In our days this area is called Iraq. We can see the roots prosess along nearly 5000 years.Most of the worlds cultures had adopted and assimilated astrology techniques . Once cane learn, from China, India, Persia, ancient Egypt, the Hellenistic world, Arabic world, passing the Judaism along all generations and the Christian culture. Our ancestors had already used the system of observation, and they had made statistical data processing. Astrology was and is seen as the sciences âstep-sonâ, However Astrology is entitled the title science not less than theÂ âSocial Sciencesâ not mention so- called the Faculty of the Humanities, which are being taught, in the universities. Astrology is and must work according to statistical data processing, its validity astrology gets through the concept of correlation, exactly, and in the same methodology as Physiology and Sociology, matter of fact as all the un precise sciences, and to those how are insist upon, we can add the concept âParadigmâ, Finalizing that issue in brief, Astrology should us all the researching tools and explanation as the social sciences do, coming to explain the validity of an theory. There is an interaction between Astrology and Astronomy, Astrology is lending from Astronomy all the knowledge and the conceptual system about the cosmos, and the plants (BTW till the 15th Century Astronomy and Astrology were one discipline). The basic difference is that Astrology is focusing upon the planet Earth as the center of the interpretational methodology, let my emphasize this, this approach is only for Astrological interpretation. Astrology does deny neither Nicolas Copernicus, nor Galileo Galilee. Hence we are saying that, let me emphasize the concept that there is no any contradiction between Astrology and Astronomy every and each of them is orbiting in his course. Among the Astrological community there isnât any agreement as for the right approach, every astrological consultant holds his views and opinion as for the right interpretation, furthermore there is a dichotomy as for the aims and astrology uses. Every group of astrologers is assimilating there on approach, which is consistence with their memberâs values and life culture philosophy. Iben Ezra was once asked about the roll of astrology, he answered that the roll of an astrologer is to help a blind man to cross the way with out being run over by a galloping herd of cattle. Stephen Arroyo in his book â The practice and Profession of Astrologyâ is defining the purpose of astrology. At first he emphasizes that the astrologer implicates his philosophical view, since there are many kinds of astrologers there are many kinds of different influences. In his statement he is defying Astrology âas a practice of advice and guidance which is based upon the connection between plants signs and symbols that gives an indication to personal & social process on earthâ. David Cochrane, the person behind the project Kepler, Pegasus & Sirius at Cosmic Patterns Software Inc is explaining in his article âScience or Superstition sâ , see www.astrosofware.com/astrolog.htm. Bernard Rosenblum M.D is a psychiatrist, practicing in N.Y, he is using astrology as an assisting tool in his work, in his book âThe Astrologers Guide to Counselingâ CRCS Publications 1983 pp 34-44. Pre-Condition, Rosenblum believes that a counselor should be a person with a mature personality, a person who knows himself well, his weakness and advantages, such a person should be able to cope with pressure situations, and should know handling the client reactions. Â Moreover the astrologer should keep for himself his cultural beliefs, his ego, and avoid playing power games. Rosenblum is referring to three levels of the Astrological work with clients. 3. Astro âtherapy â In this stage there is the astrologer participates in a regular ongoing way in the depth-psychological change of the individual. The Stars Incline But Do Not Impelâ. 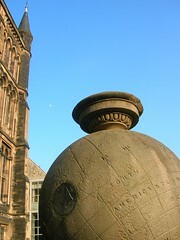 Along history course, Astrology had developed several approaches and systems. Each approach and system has it followers and criticizers. Iâll mention only two, the Traditional approach and the Psychological approach. The Psychological approach had been developed alongside to the development of the sciences, finally the Psychological approach had shift the Traditional approach from its seniority, in the beginning of the former century. Lately and occasionally, we can hear, here and there voices saying, âwe are tired of the Psychological mambo jumbo, it doesnât tell us a thingâ, well maybe it is time to walk in the middle way, a bit of this and a bit of that, to find the balance, and to integrate both approaches. First of all letâs focus on the NATAL CHART, the natal chart is a âphotographyâ of the planets constellation at the moment of birth. The interpretation of that chart submits us with the profile of the chart owner, his potentials, his virtues, his weaknesses and advantages, the natal chart is the âgateâ to self-awareness. Secondly we can focus upon the CAREER & VOCATION chart, many of us are wondering many years â what is our vocationâ, the purpose of that chat is to submit an answer to that question, instead of a life long trial and error process, the purpose of that chat is to avoid wasting precious lifetime. Thirdly, the RELATIONSHIP chart, al about the relationship between people, lovers, partners, the chart analyses and compare the Charts for two or more people, providing a compatibility and feasibility relation between the persons, the report is comparing the factors as fellows: togetherness romance, sexuality liability warmth, security tension, intelligence, motivation, harmony, family, psychological view of the partners and their needs, ability to function in a relationship and the suitability of the relationship. Fourthly, RELOCATION chart, Relocation astrology provides the opportunity to get a sense of what a place might be like for you, even though you may have never been there. That could be of a great help, if you are planning to move or take a longer trip. Relocation report is a means of discovering where in the world you are affected and how. Not only can you understand what forces influence you in your present location but Relocation report can show you the best places on Earth to pursue your dreams, find spiritual growth, improved health, love and romance, prosperity or adventure. Fifthly, BUSINESS ASTROLOGYÂ Â the aim of this chart is to helping to establish a winning business strategy. To give the idea what is the right business field, the right business location, business assessment, were is the right regional for establishing the business activity â Globally. The chart will indicate anything that needs opportunity for success. Sixthly. EVENT TIMING chart, The birth moment gives indications of how the life of a person or event will unfold.Â The timing of important life events should be chosen carefully.Â To Start a new business or professional venture at the best time, to ensure success such as marriage, opening a business, or buying a house, should be in a appropriate timing, you should do those activities on the best day and time for their specific event. In conclusion, Astrology isnât forecasting at least not anymore. Astrology is a tool to get solution for our daily problems. Astrologyâs purpose is consultation, guidance and assistance, to clarify fellowman situation in the daily reality, in order to able to do the right steps in the decision making process. The stars incline but do not impel, and we should always remember the principal of the Free Will. Basic Vedic Astrology Lesson 1 Website: MathinaMaideen.webs.com Feed URL for RSS Reader feeds2.feedburner.com My Twitter Account: twitter.com Please subscribe for video updates.